Planning a summer trip? Pick up your phone and call a luxury hotel in Rajasthan right now. Dogged by low occupancy rates, tony hotels in the state have slashed their rates this season. Most people would think visiting Rajasthan in the peak of summer is a wrong idea since the mercury has a habit of hovering around an uncomfortable 45 degrees. Interestingly, India’s highest ever recorded temperature was recorded in Alwar. It was a scorching 50.6 degrees centigrade. However, modern hotels have air conditioners, apart from a bevy of thirst quenchers such as foot massages and in-room baths set up with scented candles and flowers. And when it comes to Rajasthan, hotel tariffs are inversely proportional to the direction of mercury. This, we feel, could turn out to be one of the best reasons to holiday in the princely state. Don’t believe us? Check out the exclusive properties we have curated for you. Have a good trip. You can thank us later! One of the last of the great palaces of India, Umaid Bhawan Palace sprawls across 26 acres in Jodhpur. It is a blend of eastern and western architectural influences. The property offers 64 rooms and suites, each showcasing the Art Deco style with lavish and elegant interiors. A part of the palace is managed by Taj Hotels. The special price starts at Rs 24,940 per night, inclusive of taxes. The Royal Presidential suite is available at a huge discount at Rs 46,000 per night, inclusive of taxes, compared with the usual tariff of Rs 1,18,618 per night. 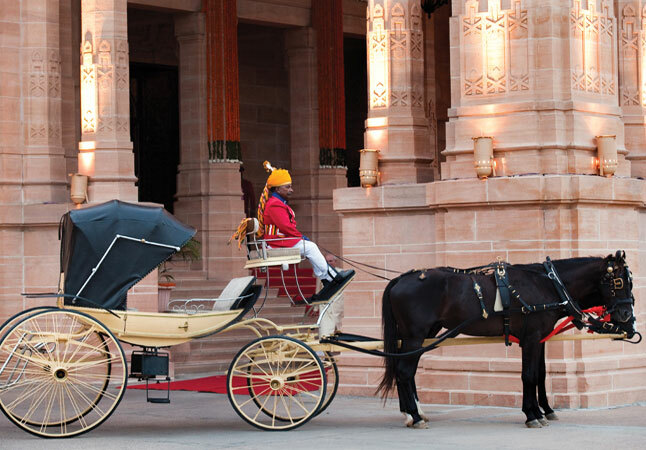 Don’t forget to take the exhilarating drive around the city of Jodhpur in a vintage car, accompanied by your private butler. Amanbagh was the hunting lodge of Maharaja Jai Singh of Alwar who stayed here during his trips to the forests of Sariska. 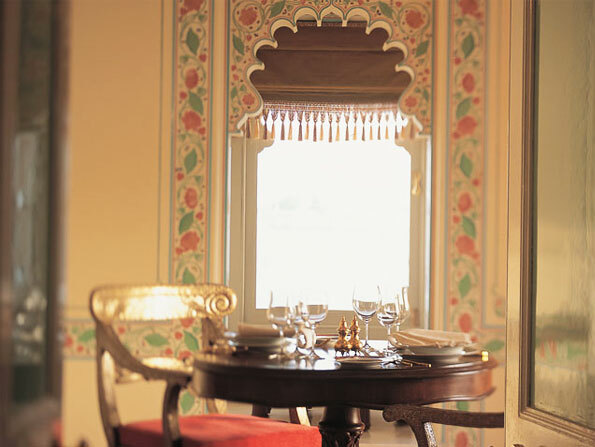 With 24 haveli suites and 16 pool pavilions, it evokes the palatial elegance of the Mughal era. Marked by high ceilings, domed cupolas, private courtyards, large verandas of sandstone marble surrounded by lush green area, the property is a fusion of old and modern architecture. The special price starts at Rs 23,500 per night, inclusive of taxes. Standing just 10 minute drive from Ranthambhore National Park, Oberoi Vanya Vilas provides a fabulous opportunity to spot the Royal Bengal Tiger. Spread across 21 acres, the landscaped property offers air-conditioned luxury tents along with exclusive spa therapies and private dining experience. You can enjoy the panoramic views of the jungle from atop an observation tower, sipping champagne at sundown. The special price starts at Rs 28,400 per night, inclusive of taxes. The stunning palace in middle of the Lake Pichola is a perfect place to hide from the scorching sun. Each of the 66 rooms and 17 suites in the palace capture a different mood and period. 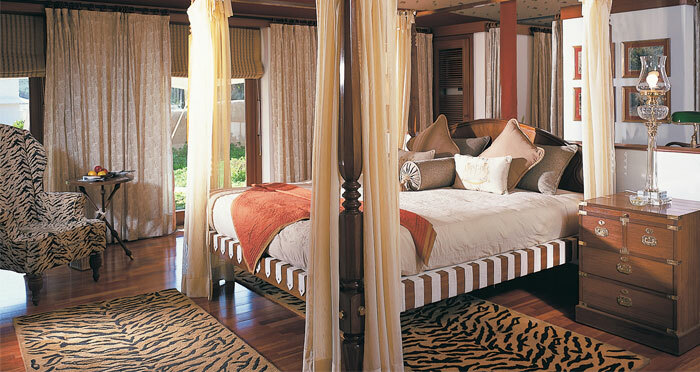 The rooms offer stunning views of the lake and the opulent decor recreates exotic regal nostalgia. Whether it is about relaxing on the rooftop deck or enjoying the services of the Royal boat, the experience is sure to take your breath away. You can avail 50 per cent discount during summers. Price starts at Rs 24,000 per night, inclusive of taxes. The Grand Presidential suite is available for Rs, 2,27,000 per night, a more than 72 per cent discount to the usual tariff of Rs 8,40,000 per night. Spread over luxurious 50 acres, the Oberoi Udaivilas is located on the bank of Lake Pichola. It offers spectacular views of the lake and hotels garden. The hotel stands on the 200-year-old hunting grounds of the Maharana of Mewar. The rooms and suites offered are one of the largest in the city. The hotel is offering a flat 50 per cent discount on the stay for the first time. The special price starts at Rs 23,000 per night, inclusive of taxes. This 32 acre luxury resort set in a beautiful landscape with verdant trees, lovely flowers and exotic birdlife is built around an 18th century Shiva temple. 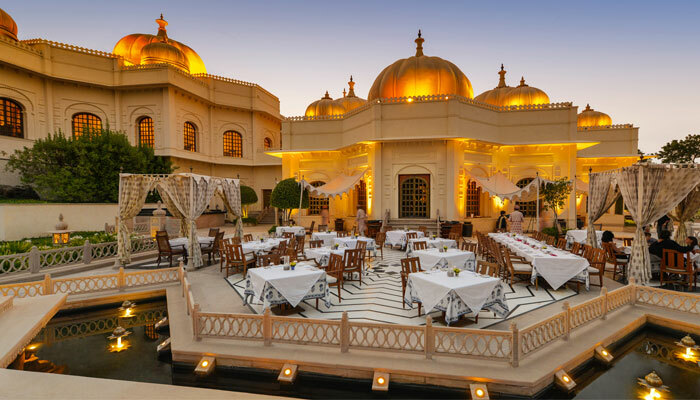 Oberoi Rajvilas recreates the magic of princely Rajasthan with Mughal arches, high ceilings and stunning crystal chandeliers. The hotel offers one of the best ayurvedic therapies. The special price starts from Rs 20,000 per night, inclusive of taxes. 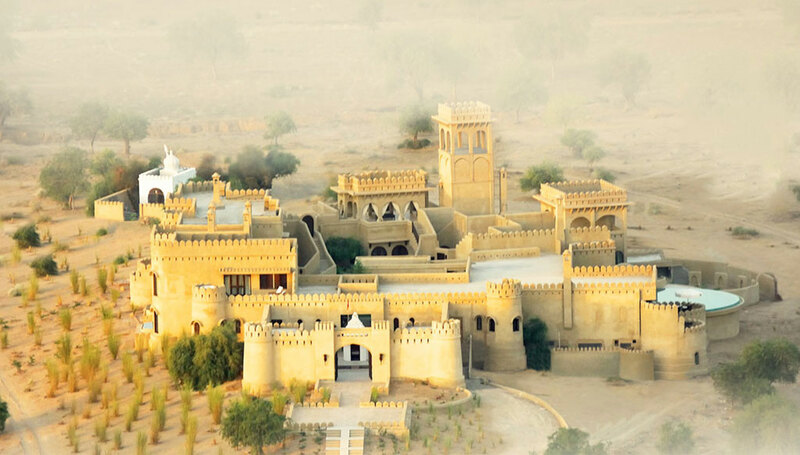 Mihir Garh or the fort of the sun is on Lonely Planet’s world’s most extraordinary hotel list. 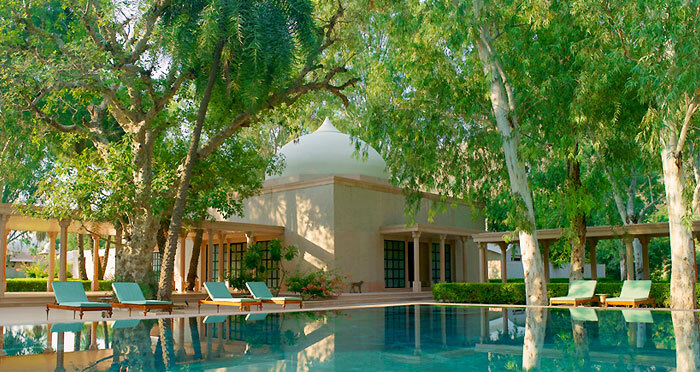 This oasis of luxury stands 55 km from Jodhpur in the wilderness of the Thar. 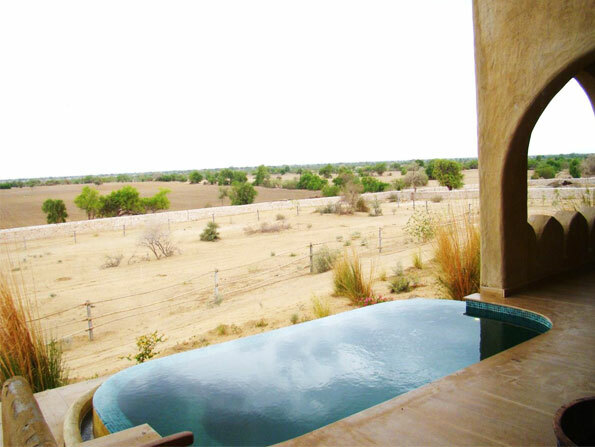 The Mihir Garh fort has nine magnificent suites, each with a Jacuzzi or plunge pools and fireplace made from cow dung. You can enjoy the private terraces and courtyards or rejuvenate yourself at Tulsi Spa. It reopens on July 16. The special price starts at Rs 24,000 per night, inclusive of taxes and the rates are applicable only till October 31. 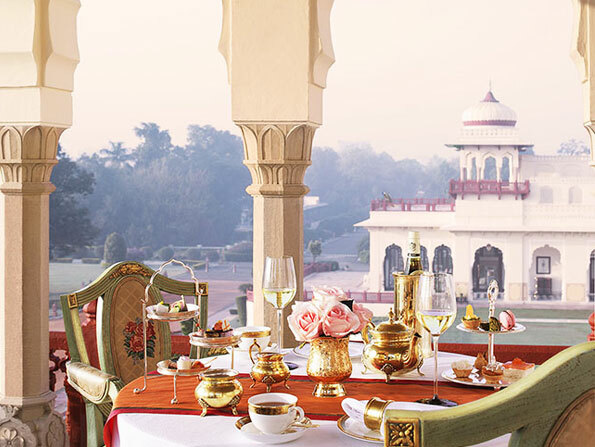 The more than 150-year-old Rambagh Palace is situated in the heart of Jaipur. It was the original palace of the Maharaja of Jaipur which was refurbished as a royal guesthouse and hunting lodge and renamed as Rambagh. 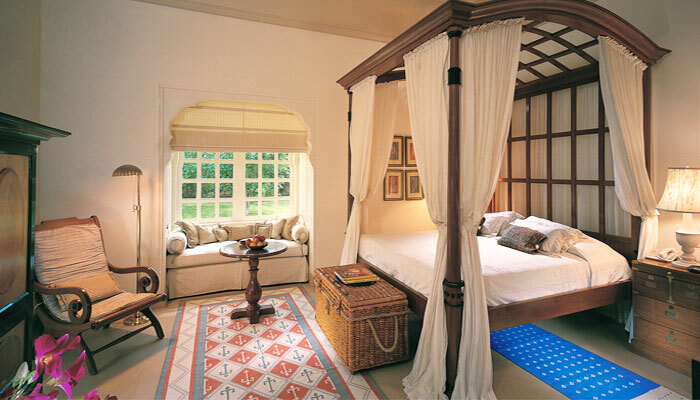 Over the years Rambagh has played host to several illustrious guests including Lord Louis Mountbatten, who has a suite named after him, and his grand-nephew Prince Charles, and Jacqueline Kennedy. It is offering 50 per cent off on the regular rates. The special price starts at Rs 28,600 per night, inclusive of taxes.